Tbilisi is the capital of Georgia and the largest city situated on the banks of the picturesque river Kura. The city’s name has an interesting translation – “warm”, which is explained by the presence of warm sulfur springs. Tbilisi is a lively, spacious city that offers picturesque attractions, delicious traditional food and a lot of interesting entertainments. 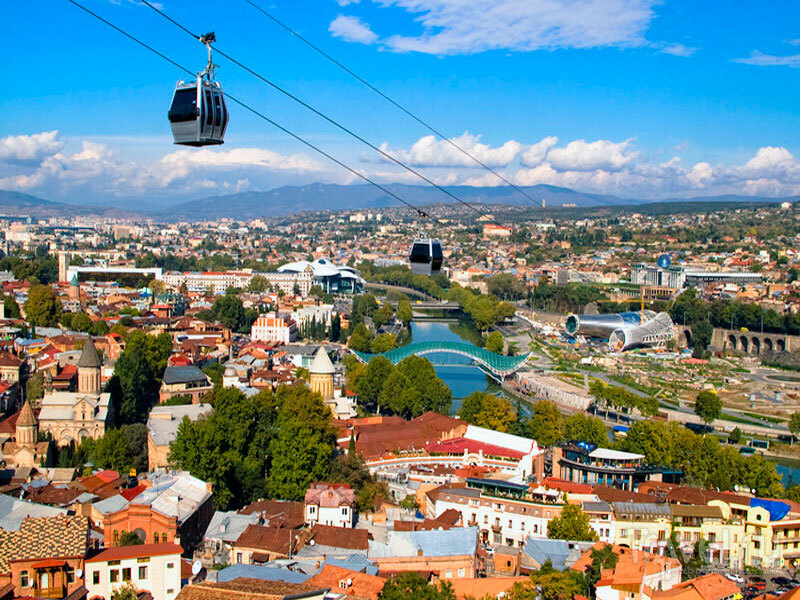 First of all the tourists are advised to visit the old city, which stretches from Narikala Fortress to the river. 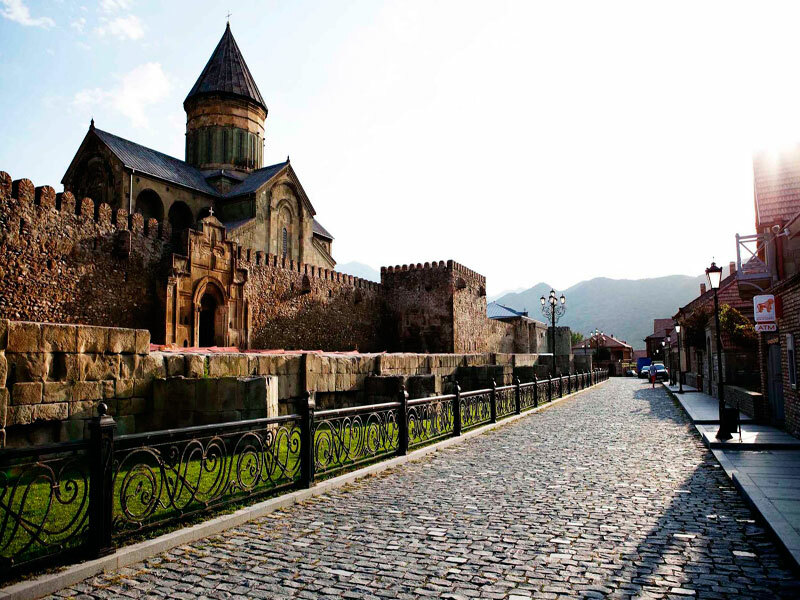 This area is one of the most valuable and unique, as it is here within these borders Tbilisi existed before the accession of Georgia to Russia. The most of the popular sights are concentrated here, for example the famous sulfur baths and the Shardeni Street called after the French writer Jean Chardin. But the most famous here is, of course, Narikala Fortress which should be given special attention to. This ancient landmark of IV-VI centuries was once a protective structure for local government. It is situated high in the mountains, to which leads a winding ascent. This place is a must during the tour around Tbilisi as it offers an amazing view to the old city, Sololaki region, Avlabar and surrounding mountains. Taking the cable car, you will get to it easily and quickly. 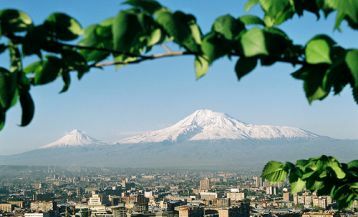 Visiting Tbilisi you should necessarily give a special attention to the modern part of the city, in particular, the famous Rustaveli Avenue, which starts from the Freedom Square. 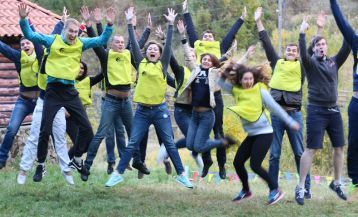 There you will find lots of tourist attractions such as the National Museum, Parliament House, the Palace of the governor of the Caucasus, Alexander Park, Temple of Kashveti, as well as mobile offices and the central Tbilisi McDonald’s. Don’t forget to visit the Mtacminda Mount – one of the popular sights. You can get to it by the famous funicular railway. This place is famous by its Green Park – the favorite place for walks and picnics among the locals. There is also a famous amusement park and well-known around the city restaurant of national dishes. Therefore, the real fame was given to this place by the S.David Temple and Pantheon. And what kind of journey through the country would do without tasting the exotic and delicious national dishes? In this case, the country really has something to surprise its foreign guests. Georgian cuisine is very diverse and delicious! And restaurants offering national cuisine in Tbilisi are more than enough. Be sure to taste khinkali and several types of khachapuri (a flat cake with cheese). To visit Georgia and not to try these dishes will be a great omission. 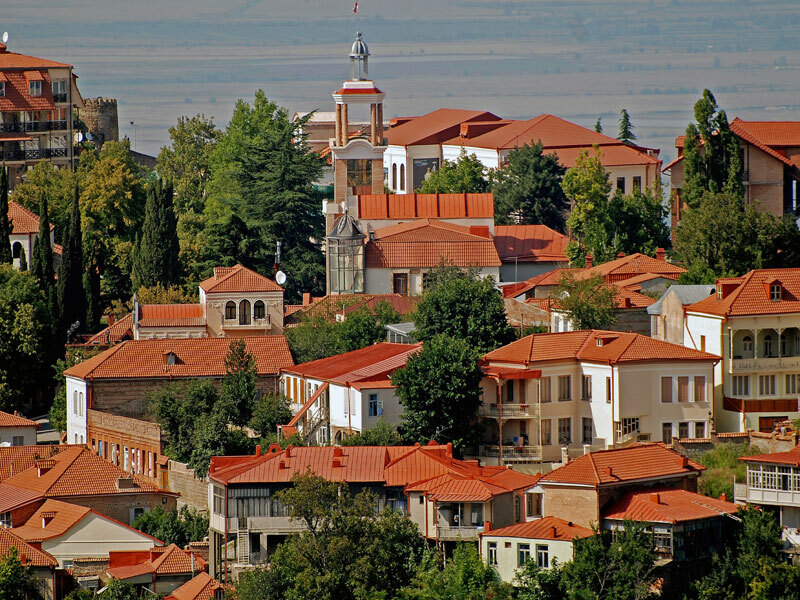 At a distance of about 30 minutes drive from Tbilisi, there is a small, cozy and very beautiful town – Mtskheta. 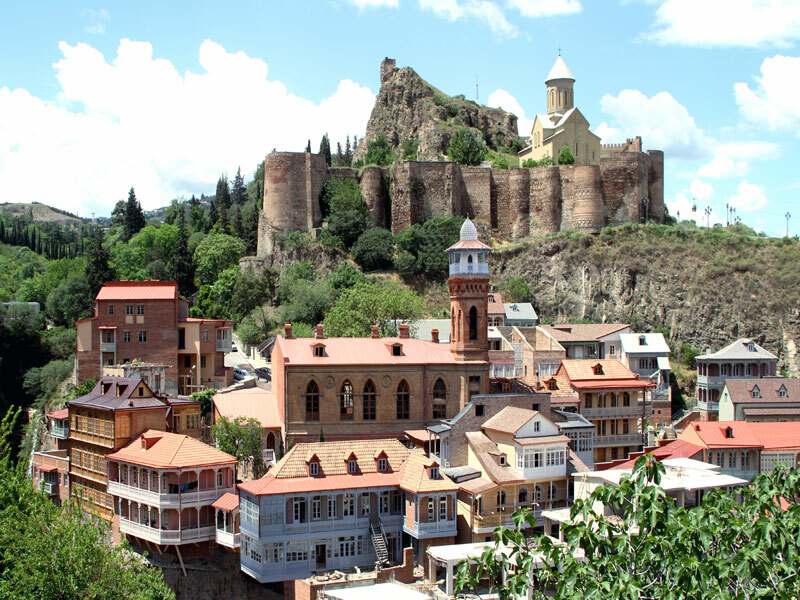 Once it was the capital of ancient Iberia (modern eastern Georgia), but then at the beginning of the VI century the capital was moved to Tbilisi. Now the central part of this exciting town is under UNESCO protection, and the town itself attracts many tourists because of its beauty and sights. In the very center, you will see a majestic Svetitskhoveli Cathedral which has been the main cathedral of Georgia for thousand of years. Not far away you should necessarily visit the Convent of St. Nino built on the place where Nino preached Christ’s words to the Georgian people. 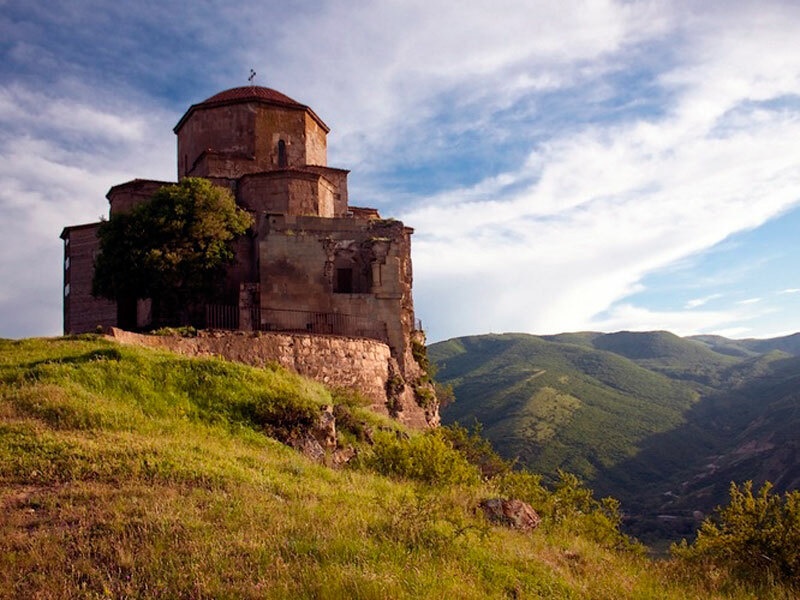 Right on the hill opposite Mtskheta at the confluence of the Mtkvari and Aragvi Rivers there is well-known Jvari Monastery (Holy Cross), its magnificent silhouette is visible from all the parts of Mtskheta. But this does not end the noteworthy of the town: visit Armazi and Bebristsihe fortresses, archeological museum and the State Museum of Ilia Chavchavadze. Signaghi is another cozy little town of Georgia, the town of love and wine. Romantic cobblestone streets, carved balconies – well, just a small Italian town. But the most interesting thing is that marriages here are recorded daily and around the clock, that’s why Signaghi is considered the town of lovers! Besides all this, there are very interesting sights: here you can climb the long walls and enjoy the Alazani Valley, visit the museum of local lore, explore the wineries, visit the church of St. Stefan or go to the famous monastery of Bodbe, where is buried St. Nino, who brought Christianity to Georgia. 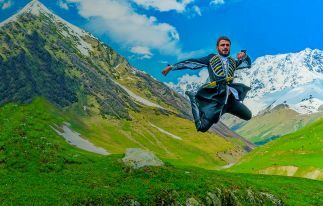 The municipality of Kazbegi is a beautiful mountainous region of Georgia, which is sometimes called the «gate» to cycling travelers and auto travelers. The tourists mainly visit this area to admire the famous majestic Mount Kazbek. Furthermore, there are very interesting trekking routes, for example, from Gergeti to Kazbek, from Jute to lower Khevsureti, from Trusovsky gorge to Keli plateau. High on the hill above the village of Gergeti and the town of Stepancminda, there is a magnificent and widely known Temple of Trinity(XIVcent.). 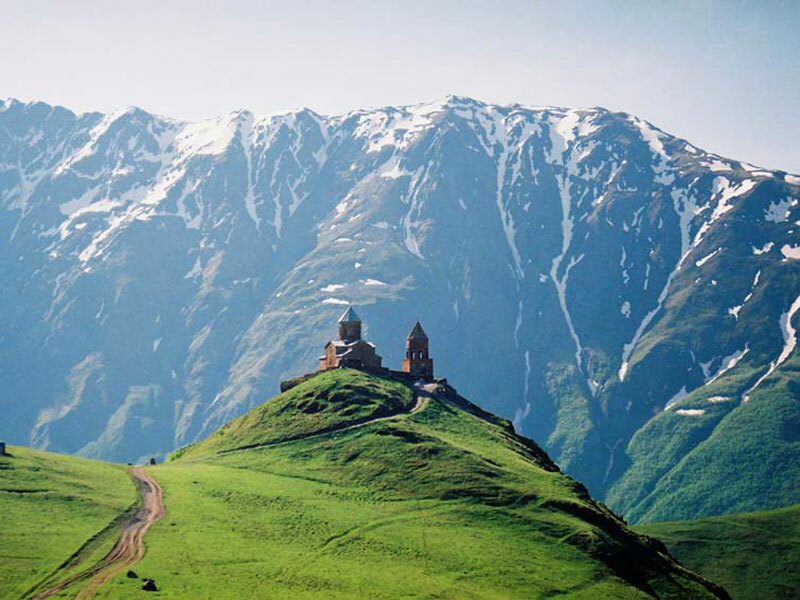 It would be a great omission not to visit this place while your holiday in Kazbegi. 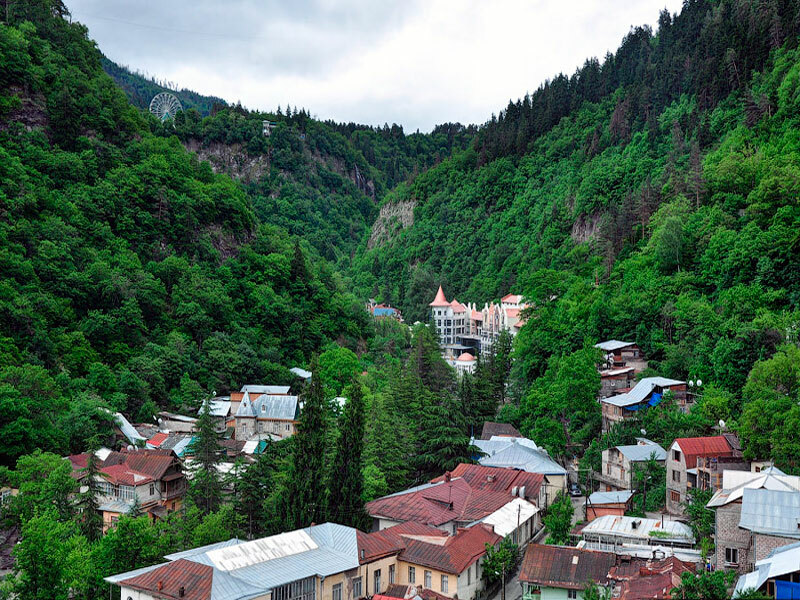 Borjomi is one of the most famous spa resorts in the southwest of Georgia famous for its healing mineral waters. Here exist more than a dozen of springs which are rich with all the necessary for life microelements. They are used for prevention and treatment of many diseases. And you can try water in well-known Park of mineral waters which is located in the picturesque evergreen valley. 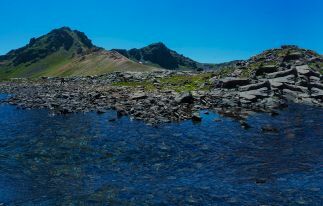 So all year round you can admire the beauty, have a rest and drink mineral waters. In addition to the mineral water the town offers unique fortresses, monasteries, and temples. Bright sun, strays of salty waves, soft sea breeze – all this comes to mind at the mention of one of the most popular sea resorts – Batumi. This town is located in the autonomous republic – Adjara, which has its own flag and emblem. 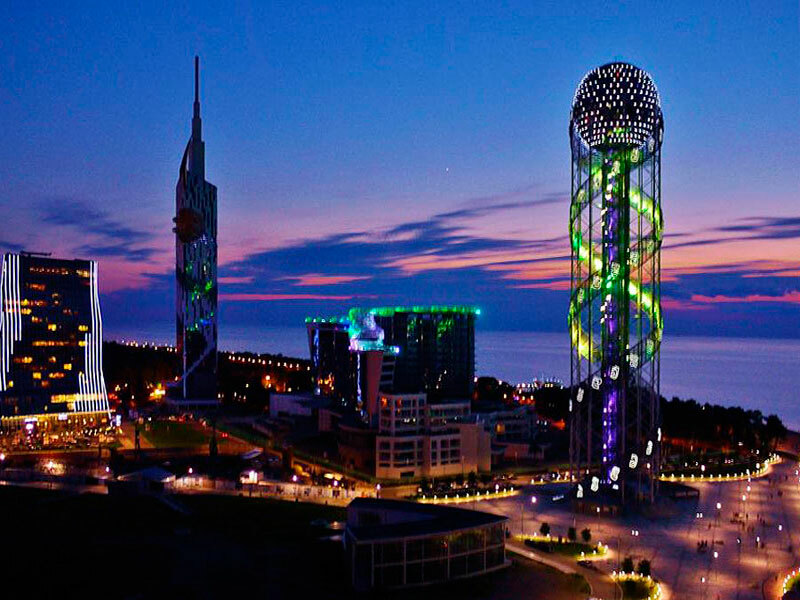 Batumi is full of bright and attractive energy, it amazes by the contrast of its architecture and multiplicity of its subtropic nature. 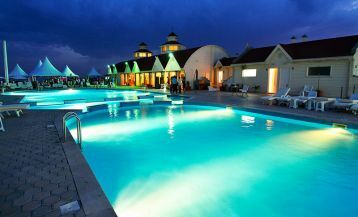 Batumi’s beach is great and excellent! It stretches along the whole town over 7 km, it is very wide and the most important – it is free. Everywhere you will find lounges and umbrellas which can be rented for the whole day for 3-4 lari ($ 1,3-1,8). Batumical boulevard is the oldest and main attraction of the town. Its constructure began in 1881! Nowdays the boulevard stretches over 7 km and is framed by gorgeous palms and a beautiful park filled with evergreen plants, palms, magnolias and exotic flowers. The boulevard itself is decorated by original sculptures, cozy benches, fountains, and in the peak season there operates cafes, plays music and lots of entertainment can be found. At the end of the park «The 6th of May» there is a famous dolphinarium, where paying only 15 lari for the day seance and 20 lari for the evening ($6,7 – 8,9) you will enjoy the bright show and get a real positive from these amazing animals. In Batumi, you should as well necessarily stroll around the old town which will amaze you by its architecture and also visit «Piazza» Square – one of the most beautiful in Georgia. Not far from Batumi one of the largest botanical gardens in the world. It was founded in 1880 and now has a collection of more than 5000 species of plants. By paying only 7 lari per ticket, you can spend a relaxing day in the garden!